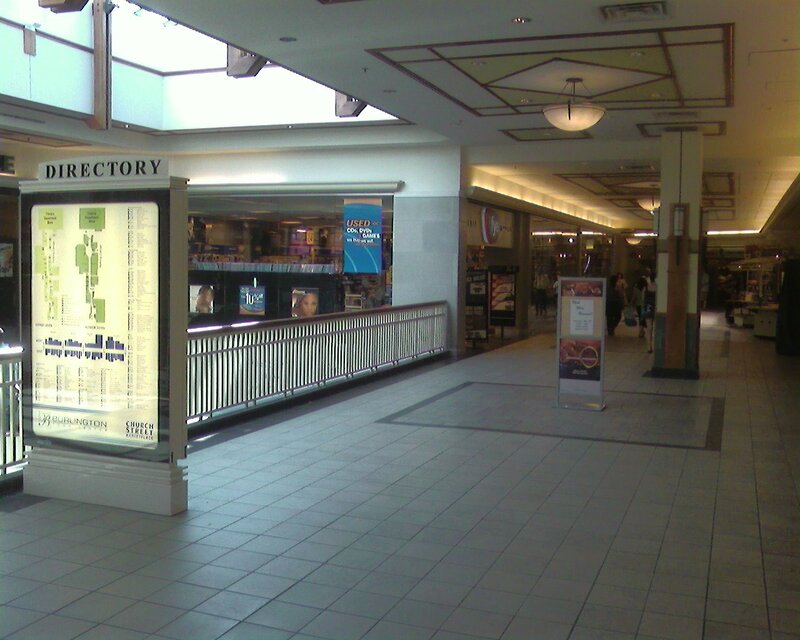 As mentioned in my last post, I’m going to write about Burlington’s two enclosed malls in a row to sort of illustrate the entire retail “scene” in this picturesque northern city. 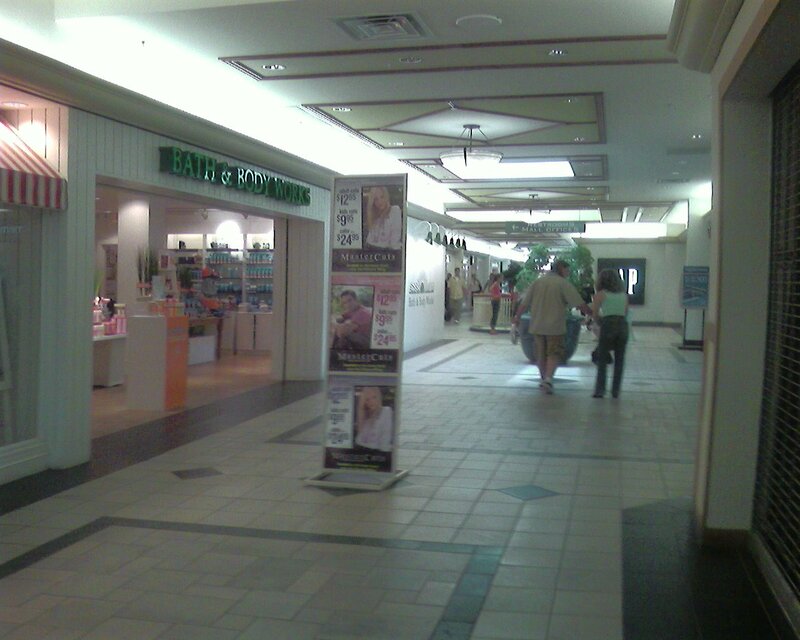 Yesterday, I blogged about University Mall, Vermont’s largest mall and a relatively standard suburban-style center. 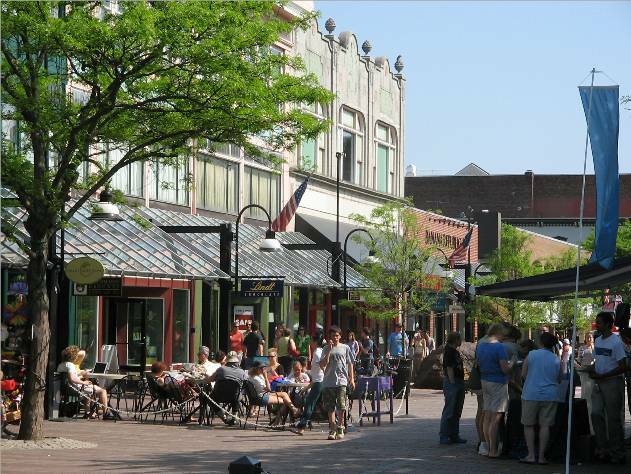 Today I’ll be talking about both the Burlington Town Center, which is located right in the middle of downtown, and the Church Street Mall, which is a large outdoor pedestrian mall that forms the center of downtown Burlington. Burlington Town Center is a long, skinny, two level enclosed mall constructed during the mall-building boom of the ’70s and early ’80s, though I don’t know the exact year. 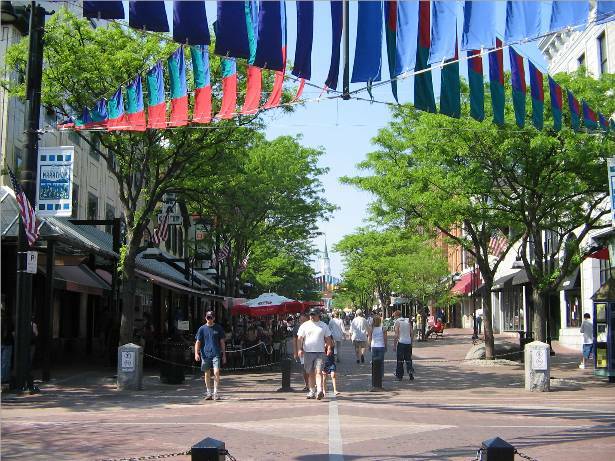 While Burlington is a small city, it’s very cosmopolitan for its size, with a large and young population living right downtown, in part because of the proximity of the University of Vermont. 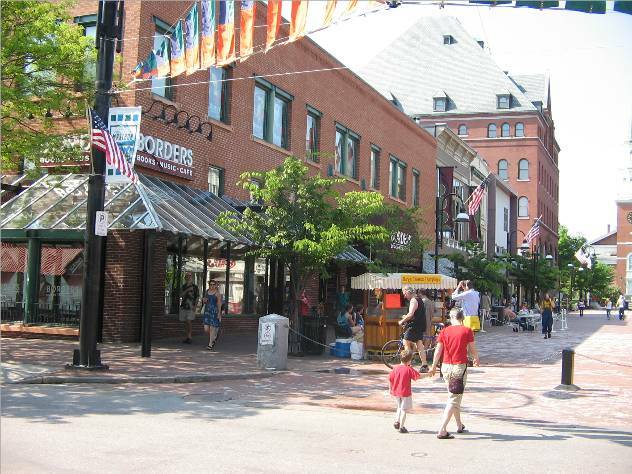 It’s also the biggest city and center of commerce for Vermont, which is a state that never stopped loving its downtowns. 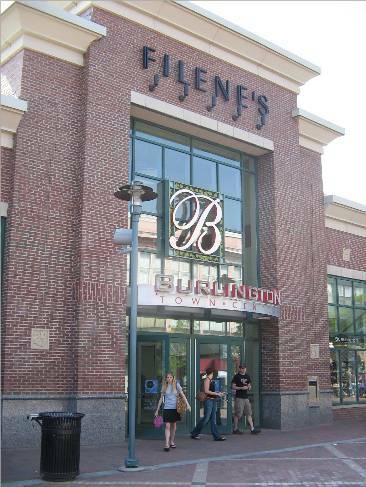 As such, it’s really always made sense for one of Burlington’s malls to be located right downtown, and Burlington Town Center has a lot of synergy with the neighborhood. It hinges off of the pedestrian mall, forming a kind of “T” and stretching from Church Street for several blocks towards the shorefront of Lake Champlain. Unfortunately, like many malls of its size and vintage, it fell on hard times a few years ago, and when I last visited in March of 2000 it was nearly empty. 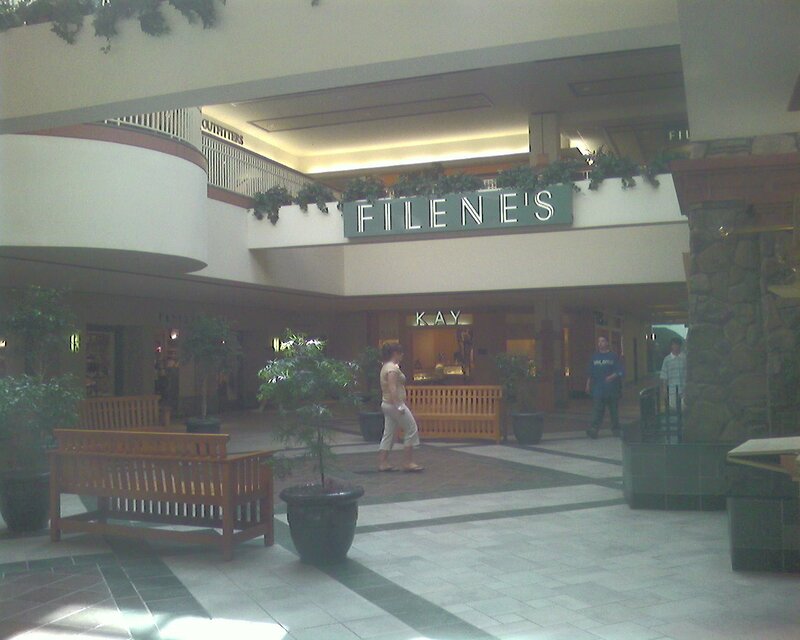 Even then, though, there were some signs of life: a brand new Filene’s had just opened at the end of the mall furthest from the street. Fast forward six years, and a lot has changed. 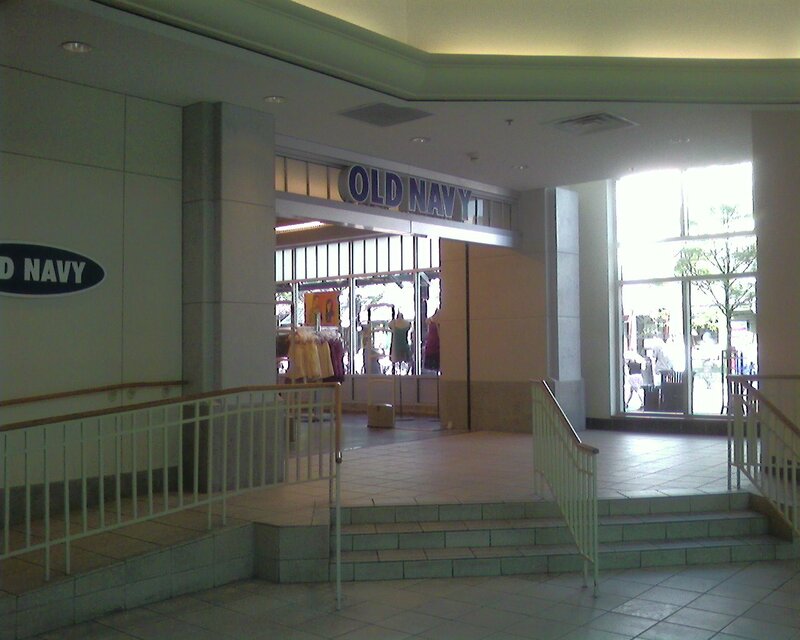 The center has gotten an extensive facelift inside and out, and the mall’s other anchor (which was an old Woolworths–and later Foot Locker–located on the Church Street Mall and which the mall was originally built off of) has been filled by Old Navy. Except for the long-struggling food court, the mall is now mostly filled with upmarket national tenants. 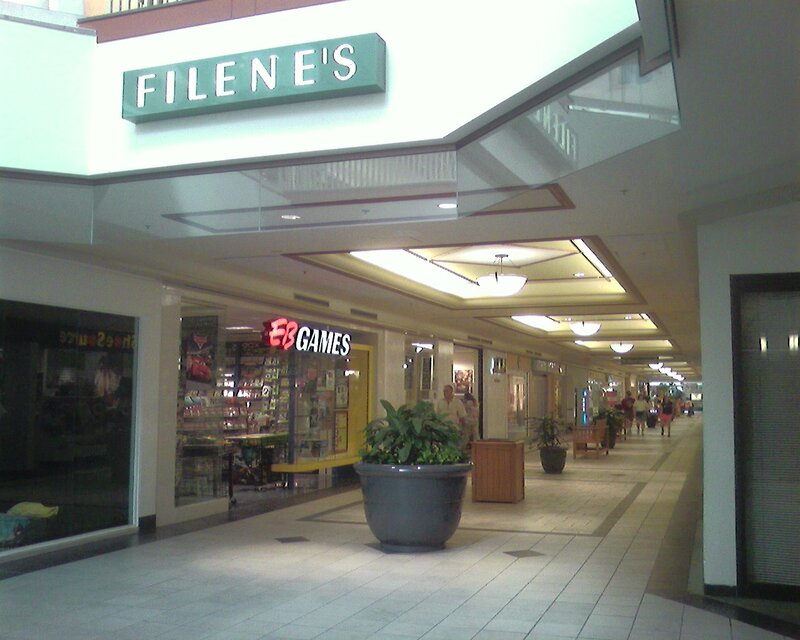 Interestingly, this Filene’s store was still bannered as such on Memorial Day, 2006, when these pictures were taken. I got these just in time because it will be converted to Macy’s soon, if it hasn’t already. 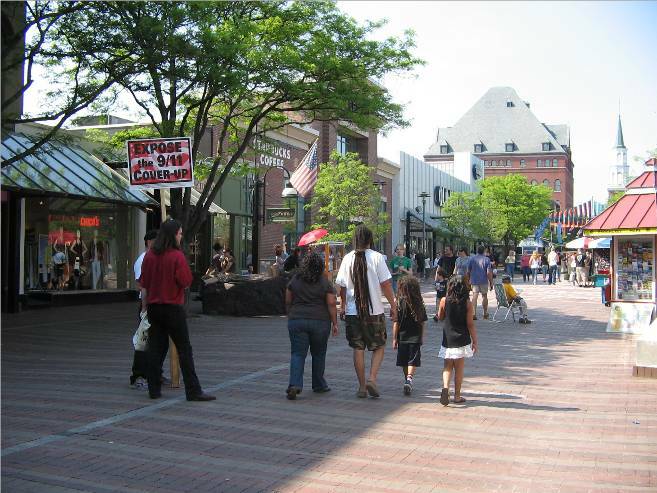 As these pictures show, the Church Street mall and the Burlington Town Center mall fit together harmoniously in the downtown retail district, with each both the mall and the downtown hosting different stores and fitting together to form what is by far the largest and best shopping district in all of Vermont. The problem? It does seem that downtown Burlington has experienced a major burst of prosperity in the past six years, not that it was ever lacking. But something seems a bit wrong this time, and I think it’s the fact that downtown is doing so well that it’s become overrun by national chain stores. This was not the case previously: Burlington Town Center held most of the chains while Church Street was home to hundreds of funky local retailers. It’s true that Chruch Street does still have lots of local character, and is an amazingly pleasant (and distinctly Vermont) place to hang out, but I worry that some of the businesses that lent it character may have been pushed out. We champion planned (suburban, usually) shopping center developments on this blog, but the truth is that we’re plenty conflicted about what these centers truly mean for our communities. My stance has always been that, with enclosed shopping malls, we’re documenting and discussing a phenomenon that simply exists, and is itself in decline and need of the kind of saving (or at the very least, documentation) that was owed the downtowns initially harmed by malls. The truth is that there’s far more to celebrate about more unique places, but I have always felt that malls themselves provided far more of a place for being than the big box behemoths that are replacing them. Basicaly, I can see reasons why we’d want to try and save our downtowns and our malls. 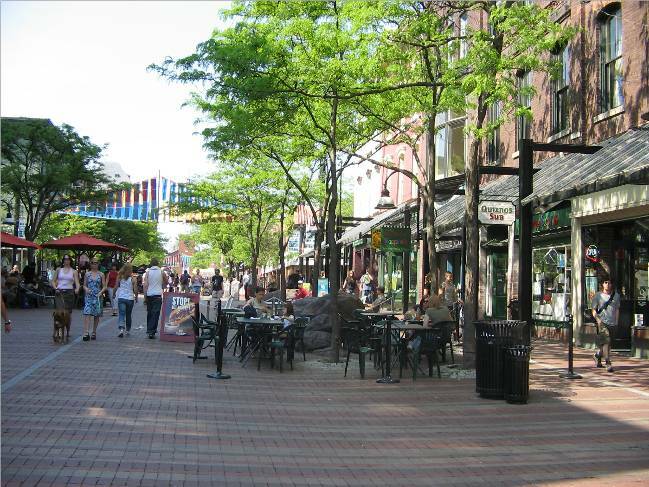 It’s amazing that Burlington can have a thriving downtown retail district when so many larger cities continue to have struggling downtowns. 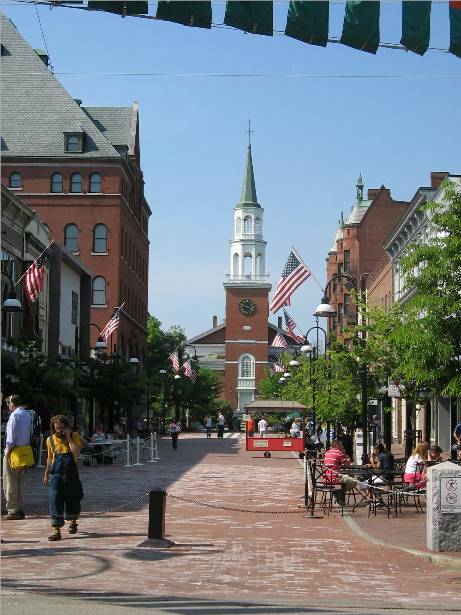 Perhaps the reason for this–as you said–is that Vermont still cherishes its downtowns. Also, like the other malls in Vermont, the Burlington Town Center has a nice “rustic” theme to it. Caldor, in your post about the Berlin Mall, you mentioned that you were aware of just five malls in Vermont currently still open. 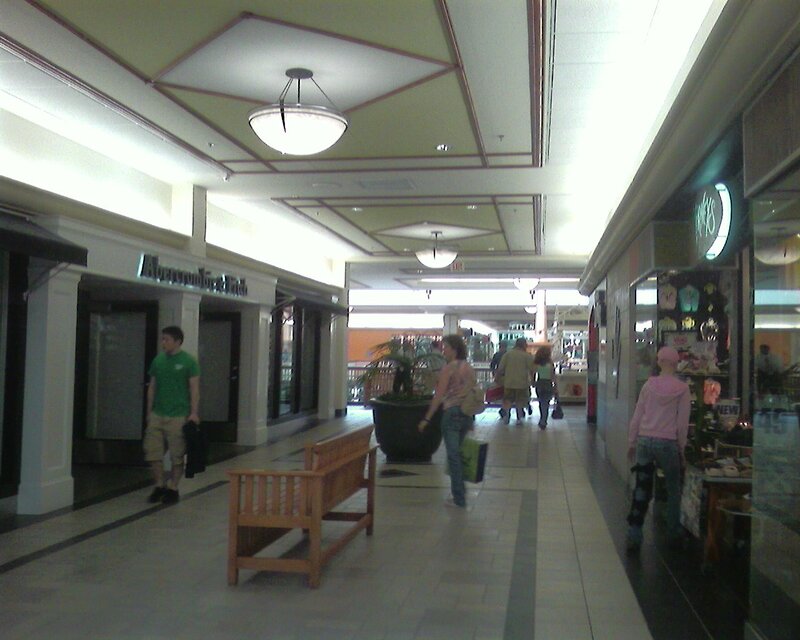 Three of these malls–Berlin Mall, Burlington Town Center, and University Mall–have been discussed on this blog. 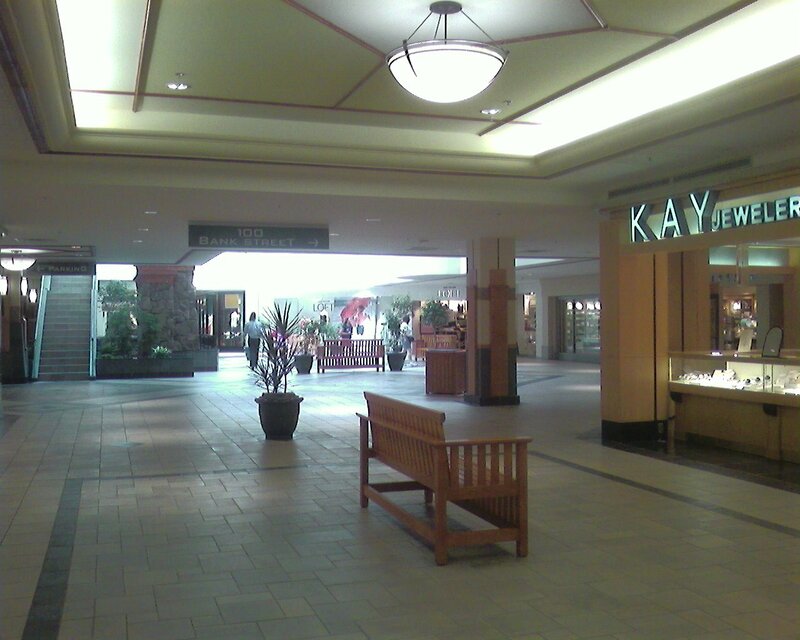 Wikipedia mentions a fourth mall–the Diamond Run Mall in Rutland–that is anchored by JCPenney, Kmart, and Sears. Just out of curiosity, what (and where) is the fifth mall? By the way, Old Navy closed. Old Navy is not closed. At least it wasn’t the weekend of June 2-3, 2007. Old Navy is not closed. I walk past it everyday.. trust me, it’s not going anywhere. The interesting thing is how many cities have to build New Urbanist “lifestyle center” projects to even come close to approximate Church Street. 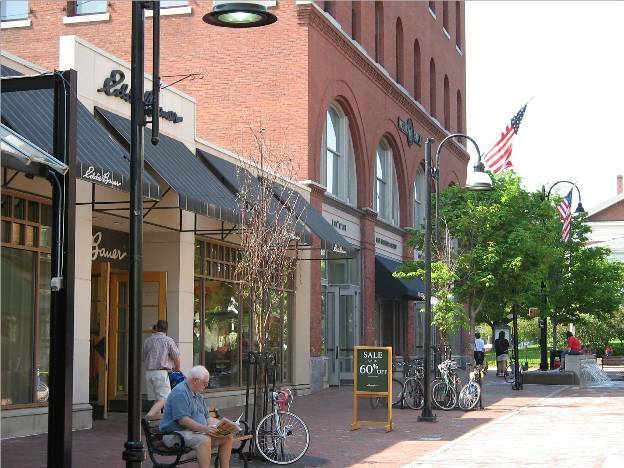 In Burlington, there’s no need for New Urbanism, because Old Urbanism is working so well. Hm, does anyone have any info on the old Mount Washington Mall in North Conway, NH? All I know is that it used to be Kmart, the Hannaford with no mall entrance, JCP, and the theatres…Since then it’s been mostly demalled and they put a Lowe’s Home Improvement there, and kept the Theatres inside the tiny remnant of the mall, and JCP built a new store from scratch that resembles a KOHL’s format. Anyone got old photos from there? The mall in north Conway was a real gem. I grew up in Berlin nh during the 90s and can remember well our trips there. I wish someone could dig up some old shots of the place during its downward spiral because at times it was so quiet and empty it sorta felt haunted. IIRC the only empty space left in the mall is the former Waldenbooks (which was doomed as soon as Borders opened on the corner of Church and Cherry); it hung on for about two years before corporate pulled the plug and repoened as a calendar-only satellite for a month or so the next year. Heres a history lesson for you all. The Town Center Used to Be Called The Burlington Square Mall When i was a child. The place where the mall is located was the site of a major fire in the late 70’s. I can remember my dad taking me there watching the fire and the trucks at night. There was JC Pennys there and the old woolworths was a good store.My Dad worked for a construction company on 101 main st (Old Armory) And he was the super on the mall project. In the other post about the Unversity Mall, I remember it being built. I used to go through the job site and pick up empty soda bottles the workers left. My Dads company he worked for even paid me 3.00 hr plus i got to Cash in the bottles. Macy’s is closing at this mall during the latest round of closings. Please forgive me for my rudeness, but you have confused Burlington, VT with Burlington, NJ: Macy’s is actually closing the store at the Burlington Center Mall in New Jersey (and keeping the store in Vermont open). @Max, That’s could have been predicted and it’s a death blow for Burlington Center, which will now officially become a dead mall. Sad too…even though the store decor is a little dated, it’s a very nice building. (still has the Strawbridge and Clothier seal on the exterior. While it’s no surprise that the store at Burlington Center Mall is being closed, I’m shocked that Macy’s chose to keep their location at Nanuet Mall open. @Max, Macy’s owns the store at what was Nanuet Mall. That said I to find it surprising that Macy’s keeps the Nanuet store open do to it’s proximity to Palisades Center. Then again, how menny Macy’s do we need? Metro NY has 50-stores alone. That is surprising, but at least in NJ’s case, as we have earlier discussed, it can sustain multiple Macys locations within a 10 mile radius or less. With that being said, the Macy’s still open that shocks me the most is in Essex Green in West Orange. Once a very small indoor mall, it has been remade into a strip mall, co-anchored by a moderately sized movie theatre and a ShopRite. The Macy’s inside looks as if it hasn’t been touched in years (and it doesn’t even have a down escalator! )…Short Hills, Willowbrook and Livingston (the Macy’s there needs a facelift too) are all within 6-10 miles of Essex Green. The Macy’s in Livingston is in the absolute worst shape of any department store I have been in (with torn carpeting and cracked floors in so many places). What’s sad is that was a nice Bamberger’s location back in its day. While it is absurd just how many Macy’s locations there are in NJ, the unfortunate result of future store closures would be the impact they have on the health of the malls themselves: For instance, if Macy’s were to close its Monmouth and Livingston Mall locations (both of which the company can do without), both of those malls would become dead. @Max, If Macy’s left Livingston Mall, I could see Kohl’s or Dicks Sporting Goods taking up that space. I would be more worried If Lord & Taylor was the store that was closing. 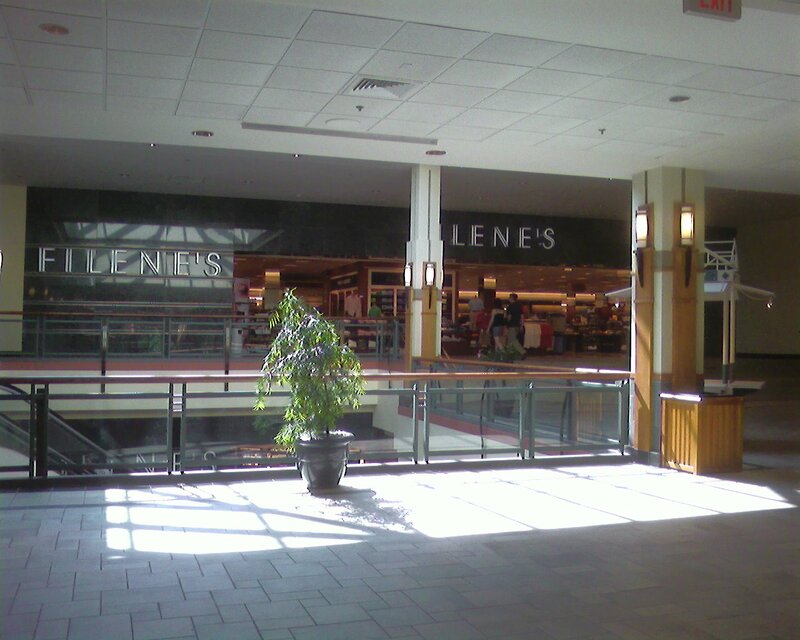 The Galleria in White Plains NY is similar To Livingston in terms of store lineup minus L & T.
@SEAN, The only thing that could keep Livingston Mall alive if Macy’s ever closed there may be JCPenney, where the only other location in a 10-15 mile radius is Wayne Town Center. I do agree that Lord and Taylor would be a much bigger red flag for both malls. Max, That is something to think about in regards to the health and stability of many malls if Macy’s closed. Now may be the time we wish the local chains like Sterns, A&S, Jordan Marsh, Strawbridges, Wanamakers, Hechts and Filienes were still around. The only area where we may disagree is the need for a Macy’s in Monmouth Mall. There may be one in Freehold and in Ocean County Mall, but for many Eastern and Central Monmouth County residents, it’s a more convenient location than driving 15-20+ miles. @mallguy, Your right reguarding JC Penny at Livingston Mall if Macy’s closed. I’m just trying to think outside the box or in this case, the big box. Also as you said, this is what happens when numerous department store nameplates are retired on mass. It puts malls in a weaker posission if they lose an anchor. @SEAN, If Macy’s did close at Livingston Mall, Lord and Taylor would quickly follow. I do think though, that both (and hopefully they decide to renovate that Macy’s…they renovated the Brunswick Square Macy’s fairly recently, so this one shouldn’t be too far behind.) will survive and JCP will have to look elsewhere. There was talk back in the 1990s of JCP building an expansion wing, but that quicly died. And I think Macy’s would close Essex Green before Livingston. Do you think the West Orange Macy’s is on the hit list for closure next time around? Speaking of West Orange malls, saw Paul Blart Mall Cop last night on DVD & truthfully I thaught it was funny/ stupid. I still liked it do to all of the mall filming. They used Burlington Mall in MA, as the standin for West Orange Pavilion Mall with some extirior shots at South Shore Plaza. Although the actual town of West Orange was used for the non-mall shots. Origionally Willowbrook was going to be the mall in the production, however Wayne denied a permit so production was moved. @SEAN, I saw bits and pieces of Paul Blart, but had something better to do than to finish watching it (you can probably guess how interested I was in it, lol. Kevin James is trying to repeat his Hitch character, but I digress). I do like it when movies do NJ shoots…too bad they couldn’t at least get a permit in Livingston. The Macy’s in West Orange used to be a Sterns. 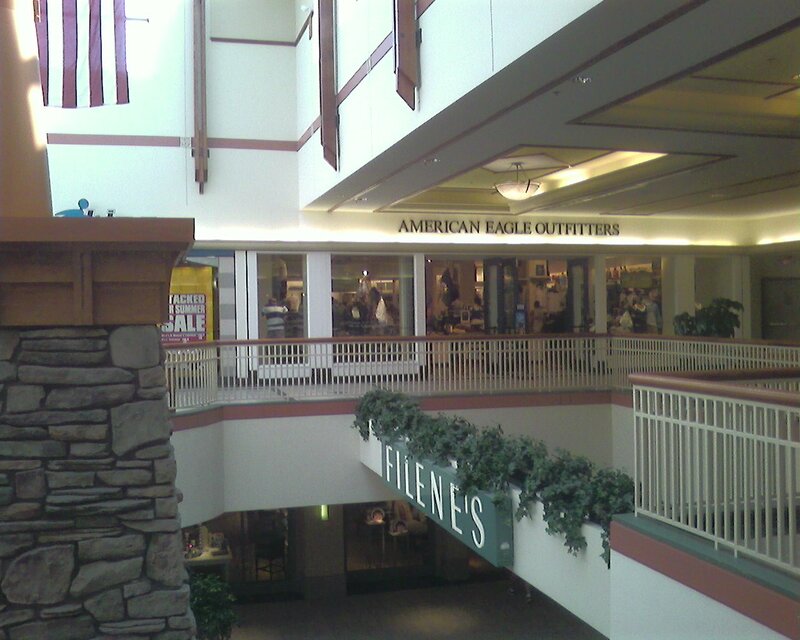 At the time, Sterns had very small locations around NJ (Middlesex Mall in Piscataway/South Plainfield and South Brunswick Square were others). This Sterns/Macys is about 91,000 sf and has a very small lower level (really acts more like an access point to the lower level parking lot) that has a very small linens and Juniors dept. There is an up escalator, but no down escalator…you have to go down stairs or an elevator. It darn well should be closed…they got the Macys in South Brunswick Square a few years ago and I think Middlesex Mall may also be on the list. 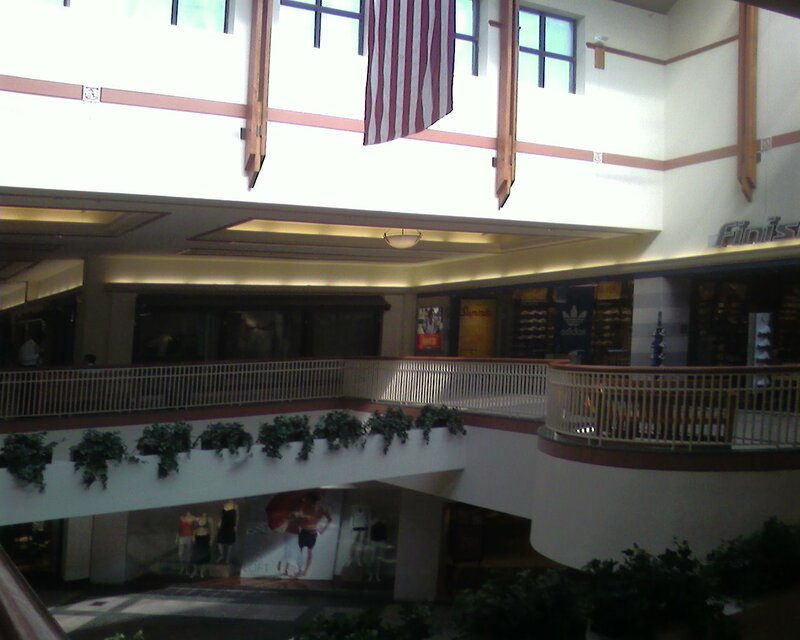 @mallguy, I wonder If Kohl’s could work in the West Orange Macy’s without that lower level. Perhaps Bed Bath & Beyond? I wanted to see Paul Blart because of the film being mall centric. I’m not a Kevin James fan at all, but Jayma Mays is adorable in this film. She was also in Red Eye with Rachel McAdams which I also like. @Max, I read in a news article that it was in Vermont. Just so there is no confusion over which store is actually being closed, the Macy’s corporate website states that they are closing the Burlington, NJ location. 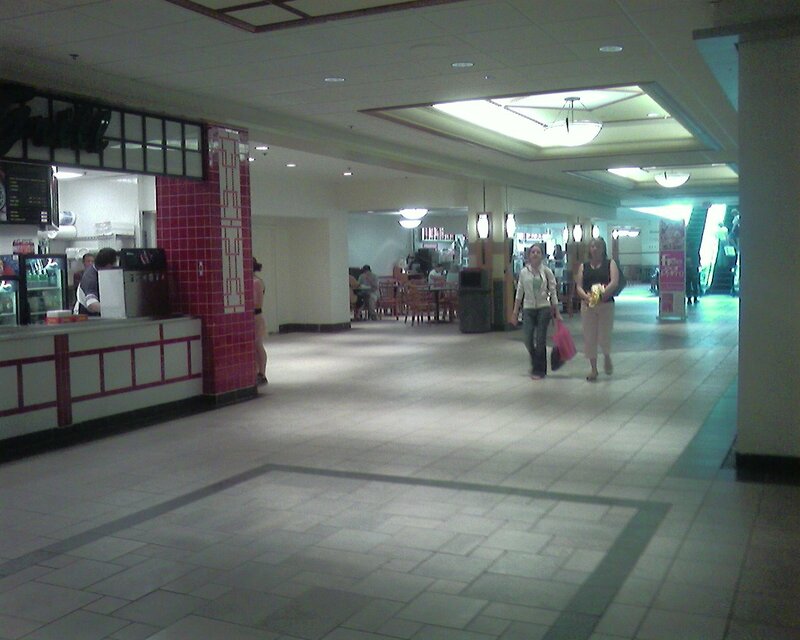 Burlington Center is a pretty sad mall. I never saw many people in the Macy’s, they were all at the food court or JCP. The actual CENTER of the mall isn’t too dead but both wings are, and now even moreso. Do you mean the Burlington Center in NJ? If so, I’ve been there, and I didn’t even see anyone at the Penney’s. It’s so empty that it feels odd to leave the food court & the center of the mall. It’s really dead now, despite the best efforts to hold different “community” events w/the local news & all. It deserves a full profile, if PrangeWay or Caldor feel like braving NJ Turnpike tolls. 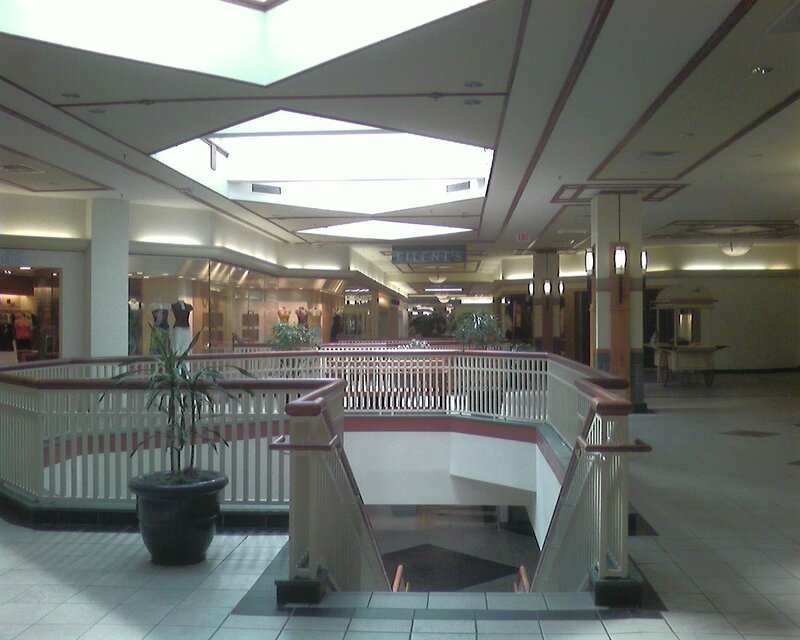 @AceJay, Here is the article about Burlington Center losing an anchor. About a couple of months ago, I stopped in Burlington Center on the way home from Philly, since I haven’t been there in 8 years, and I wanted to see what has become of it. It is very sad to see that state that it’s currently in. (at least they kept one of the fountains…) I wonder what will become of that store when it closes…really don’t think Burlington Center is longed for the world…unless they can convince a movie theater chain to build a large cinema in its spot. @Mela, BCM never had a Bosco’vs…you must be thinking of Neshaminy. @mallguy, except there’s already a large Regal theater across the street. I do love the fountain(s?) though. But honestly, BCM is dead now. A shame – the Macy’s building has some pretty neat design inside, even if the actual store looks terribly old. MAYBE the mall will attempt a Plymouth Meeting-esque revival (restaurants, entertainment, uniqueness (Whole Foods)) but I don’t see that happening unless a REAL REIT buys the mall. The retail market just isn’t there. Being between the Turnpike and 295, you’d think it’d have some impressive retail developments, but it really doesn’t. Oh well! My bad, I meant Oxford Valley. It’s a shame they haven’t filled that yet. @AceJay, I would love to see Nordstrom open there, but I’m a realist and don’t think it’s feasible now with the economy, and the Quakerbridge expansion that is currently up in the air. Unless one of the malls is sold/becomes half-dead and then revives like Plymouth Meeting, there would never be any chance of two Nordstroms so close to eachother, with Menlo, CHM, and KOP not far away. 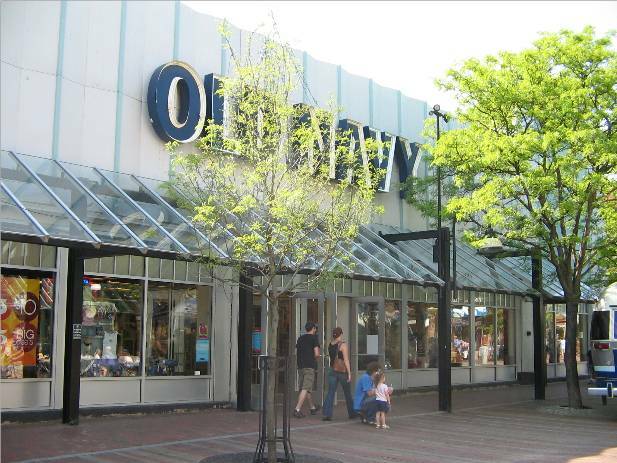 Old Navy announced today that they are closing the Burlington Town Center location, and will be moving to a new, smaller location. According to the Free Press article, two retailers are interested in the space. 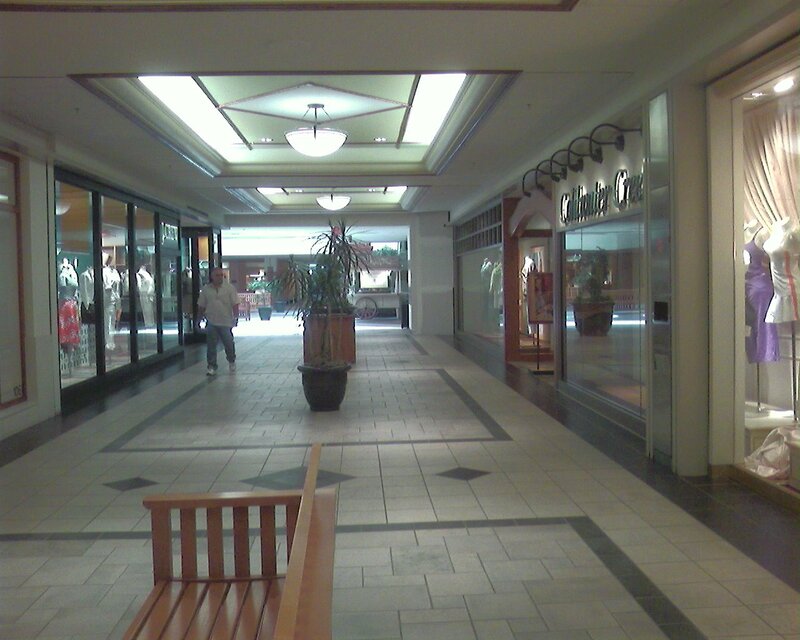 The article also mentions that the vacancy rate at the mall is a low 7%. Old Navy moved out to the big box store center in Williston (a suburb of Burlington and right off of I89). Panera Bread will be taking over part of the Old Navy spot while a local outdoor company (Outdoor Gear Exchange) will be relocating into the other part.